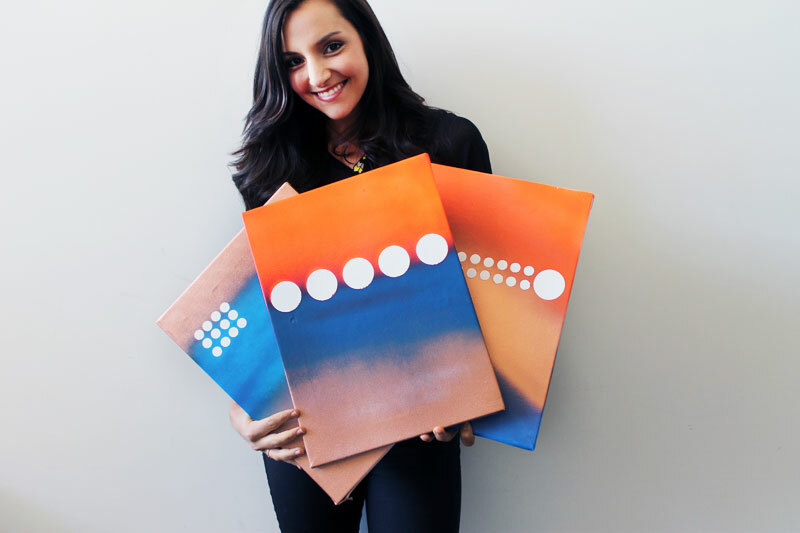 Need to add a little color to your walls but don’t know where to start? 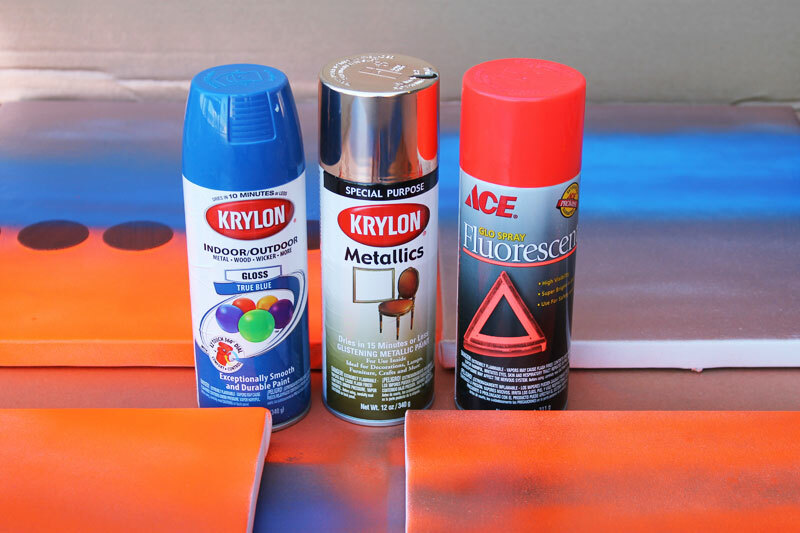 Grab a few canvases, your favorite colors in spray paint form, and a few polka dot-shaped pieces of adhesive coins from Velcro Industries, and get to work! 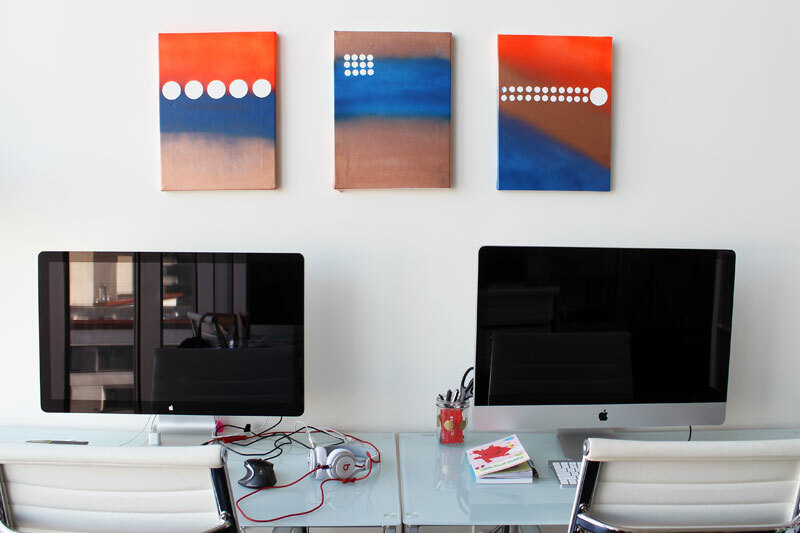 We’ve been kind of obsessed with polka dots lately and looking to create some dotty wall art. 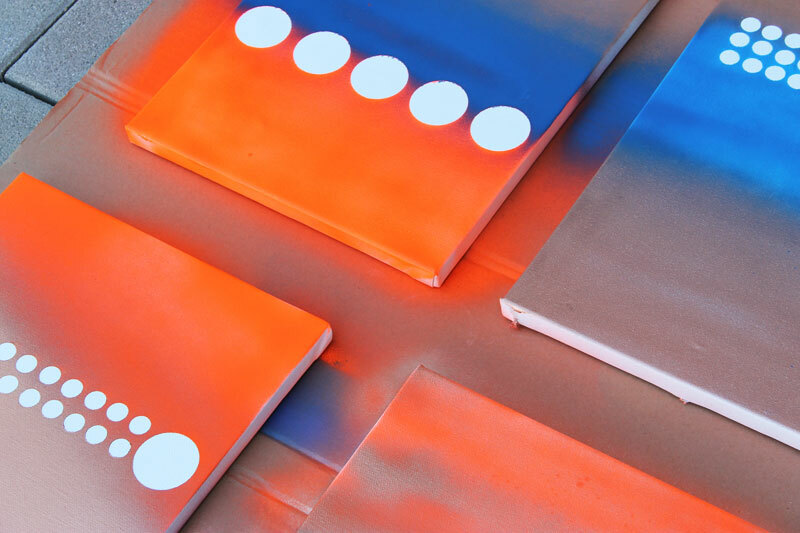 The thing is, drawing perfect circles or cutting out circle stencils is a pretty tall order. They always end up lopsided, and it’s hard to get a really clean line. 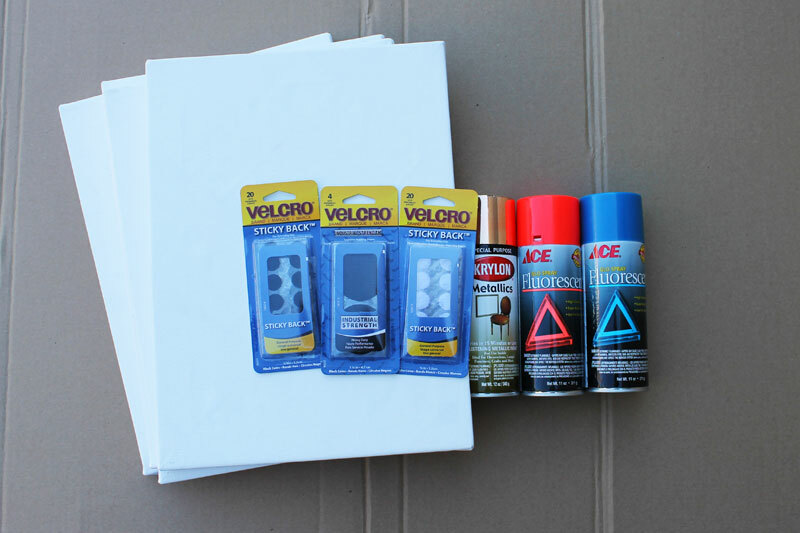 Enter VELCRO® Brand coins, also known as round pieces of adhesive tape that you can easily peel on and off of canvas. First, create your design using VELCRO® Brand coins. We’ll start with the Industrial Strength (aka large) ones. 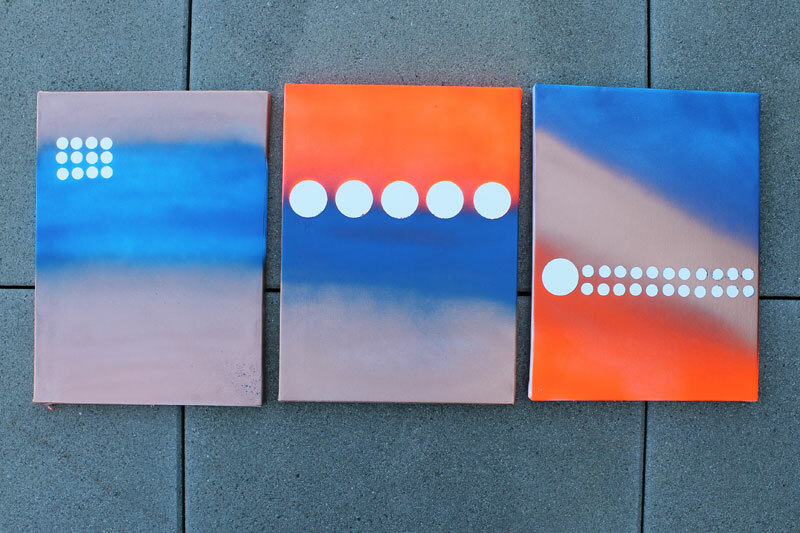 Spray paint away in any design you like, and let dry. 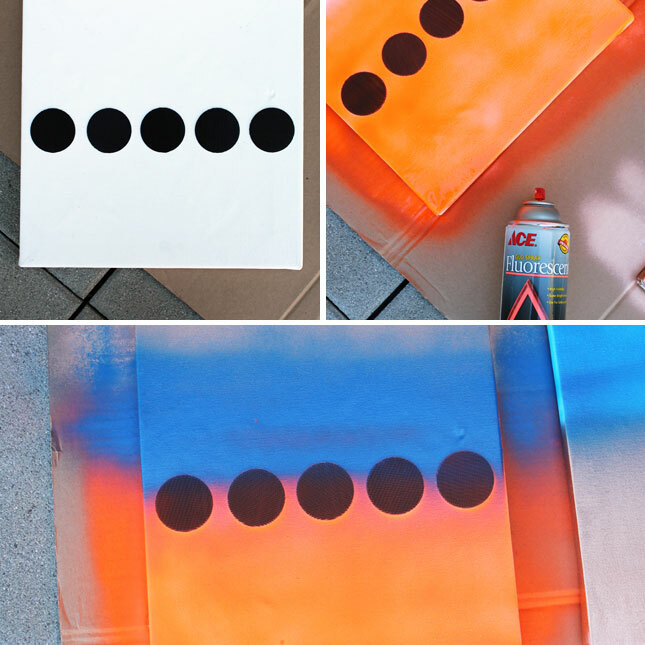 Peel off the coins and you’ve got bright white polka dots in the middle of your canvas! And guess what? You can totally reuse the coins for another project. Win! Repeat with as many designs as you like. 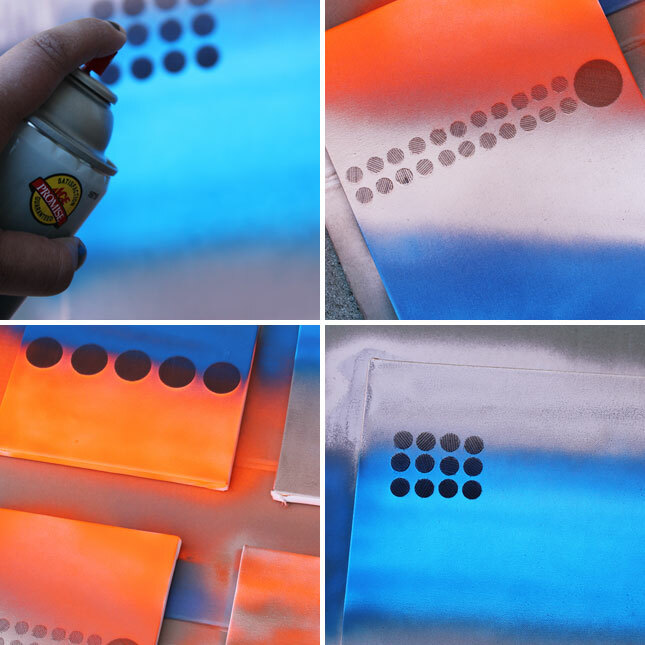 Just be sure to let the spray paint dry for a good 30 minutes before peeling off the VELCRO® Brand coins. 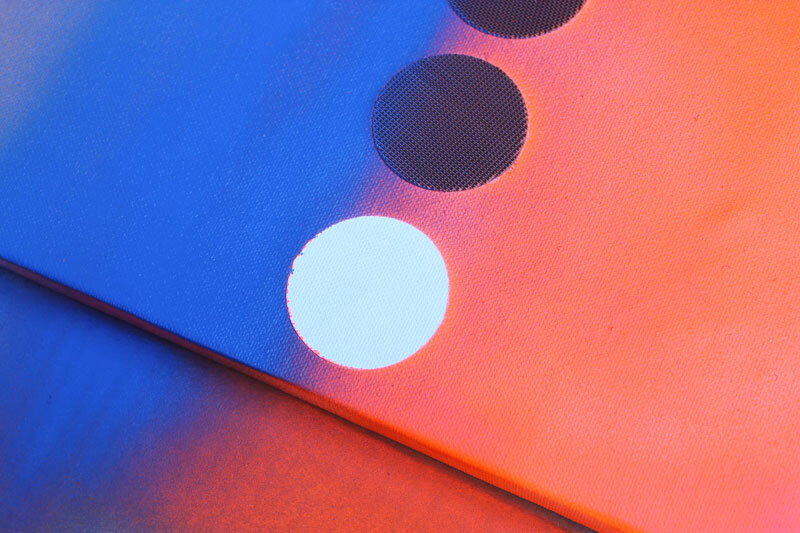 Who knew gold, fluorescent orange and electric blue could be such good friends? It almost looks like a hyper-color sunset or something! Makes us dream of sunny summer days… ? 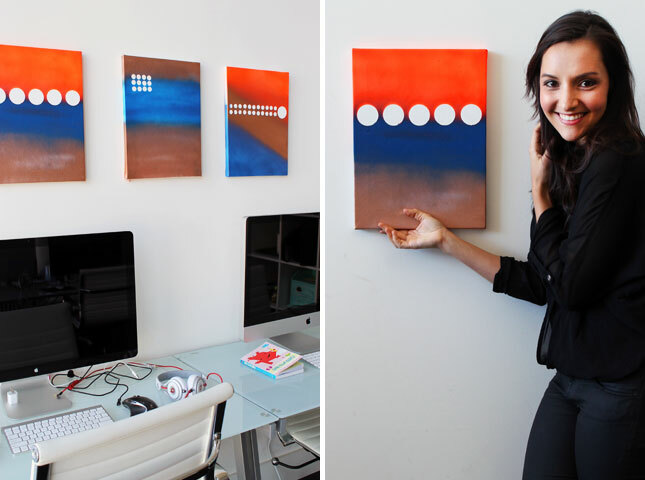 What are your favorite easy wall art projects? Talk to us in the comments below.